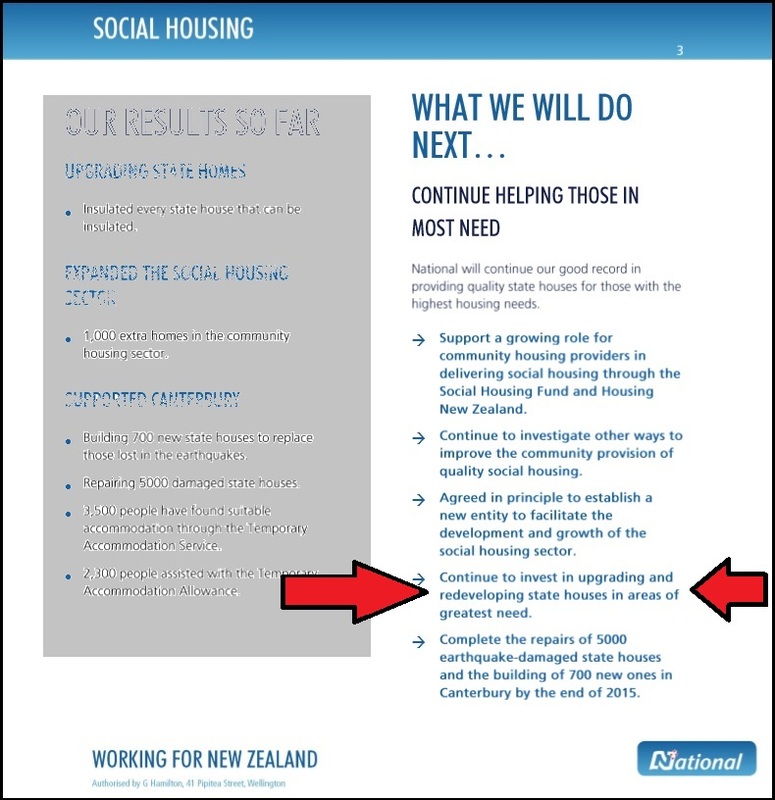 On 12 June, Social Housing Minister, Paula Bennet was interviewed on Radio NZ’s ‘Nine to Noon‘ programme. Kathryn Ryan asked why there were so many thousands of State houses in desperate need on maintenance. Bennett and English have both blamed lack of tradesmen and other spurious excuses for rundown houses. Furthermore, on page 36 of the 2013/14 Annual Report, Repairs and Maintenance is given as $220 million for the period.This is $1 billion less than the $1.2 billion quoted by Bill English to TVNZ’s Corin Dann on 24 March, this year. Either Bennett is ignorant, or she is spinning. Either way, not a good look. Ms Ryan read out my email, on air, subsequent to the interview. 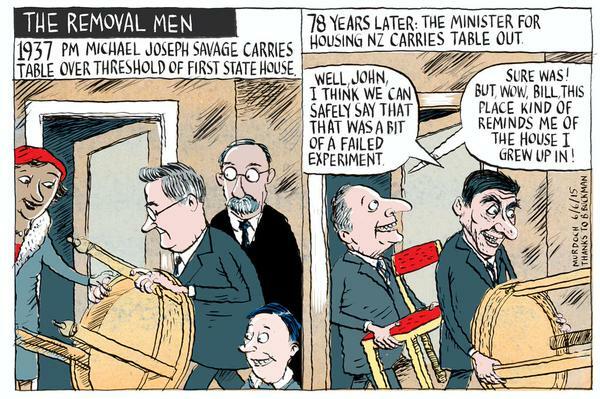 Hopefully, the media will pick up on what is obviously a gross distortion from National’s spin doctors. By asserting that there is no lack of money available, this shifts responsibility from government to blaming others for lack of maintenance. This year the Government expects to get $220m in tax and dividends from the corporation. It wants profits as well as social services. And it is also in thrall to its ideology of semi-privatisation. It is up to the media to challenge Ministers when they make assertions that are patently untrue. This blogpost was first published on The Daily Blog on 13 June 2015. I’ve never known a government to spend so much time lying. The media doesn’t seem to pick up on it much, tho Mathew Hooten is doing a wonderful job on the $11.5 million spent on the Saudi businessman’s farm. Carry on, Frank. It’s the bloggers that are letting us know what’s going on. Well put , Samwise. This government has gutted state housing and as usual with National governments, it is the poor that end up paying. In the late 1990s, National sold off thousands of state houses and hundreds were forced out of their homes. It is a disgrace that New Zealanders alloow this sort of scandal to occur in our own country!